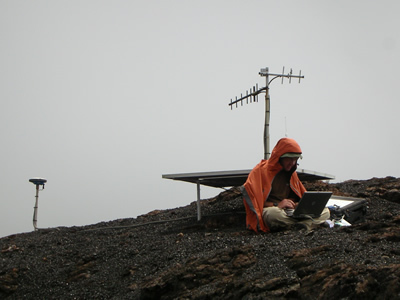 In January of 2009 UNAVCO Engineer Abe Morrison along with Principal Investigator (PI) Bill Chadwick from the National Oceanic and Atmospheric Administration, installed 2 additional Permanent GPS stations in an existing network inside of Volcano Sierra Negra. One of the new stations went inside the caldera and one on the rim. This volcano is on Isabella Island in the Galapagos Archipelago about 650 miles off the coast of Ecuador. 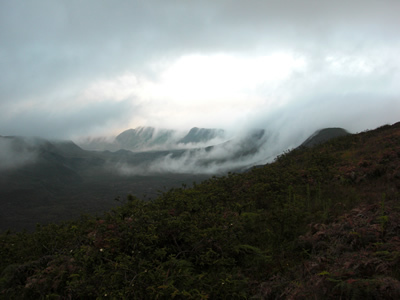 Sierra Negra, a basaltic volcano with a summit caldera, is the most voluminous volcano in the Galapagos and one of the most active, with over 10 eruptions in the last 150 years. The last two eruptions being in 1979 and 2005. Prior to 2000, deformation monitoring in the Galapagos was limited to InSAR, which combines radar images from two satellite passes to measure changes in the range between the satellite and the Earth's surface. Results from these satellite images showed interesting changes in the caldera floor (inflation) which was the catalyst for a Campaign GPS project from 2000-2002. 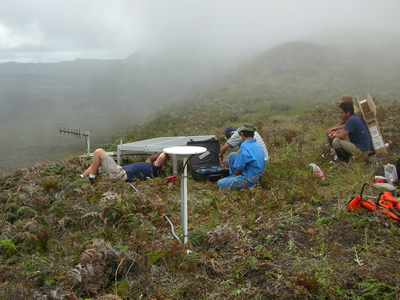 The data gathered from these campaign measurements also proved to be very interesting and valuable, so it was decided to install a GPS network in the volcano with 6 permanent stations in 2002. In 2006 4 more stations were added to the network and then again during this latest trip 2 more were added. These 10 permanent stations include Trimble NetRS, Ashtech MicroZ, and Canadian Marconi GPS receivers. The sites are strategically placed throughout the caldera and on the rim of the volcano and transmit to a master site on the North East Rim. 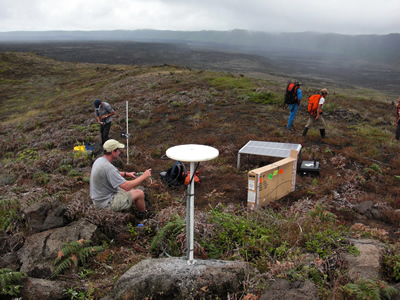 This master site collects the data from all of the sites and transmits it 50 miles back, via radio link, to the Charles Darwin Research Foundation (CDRF) on the Island of Santa Cruz. A computer at the CDRF then transmits the daily data files back to the Data Archive at UNAVCO in Boulder Colorado. This network has been in continuous operation for nearly 8 years. The maintenance and upgrades to this network can be challenging as the access to the caldera rim is only by horse and movement into and around the 4 mile wide by 6 mile long caldera is only by foot. 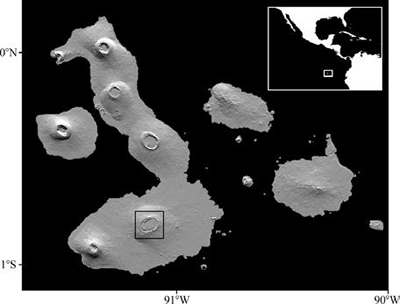 Figure 1 - Map of Galapagos Archipelago, with Sierra Negra Volcano in the box. Figure 2 - Constantly changing weather moving over the 300ft high rim into the caldera. Figure 3 - PI Bill Chadwick looking into new caldera rim station equipment enclosure box. Figure 4 - PI Bill Chadwick and several Ecuadorian porters at the finished station on a raised portion of the caldera floor. 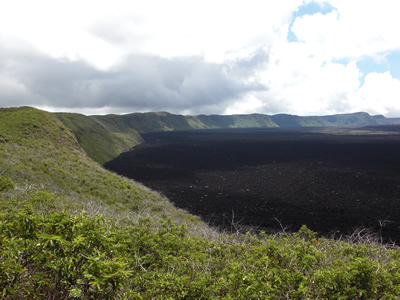 Figure 5 - View into the caldera from the east side of the volcano. 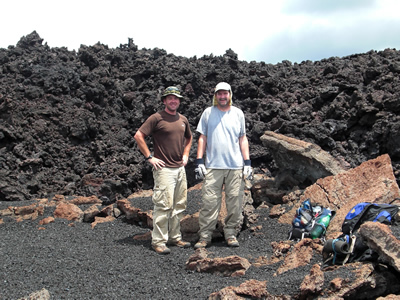 Figure 6 - UNAVCO engineer Abe Morrison and PI Bill Chadwick ready to hike out of the caldera over the 15ft high lava flow directly behind them that stretches for nearly a mile across. Figure 7 - UNAVCO engineer Abe Morrison and several Ecuadorian porters finish the new volcano rim station. 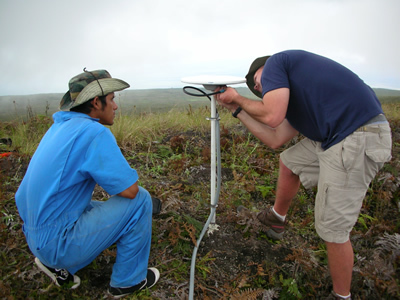 Figure 8 - UNAVCO engineer Abe Morrison Showing one of the Ecuadorian porters how to install a GPS antenna. 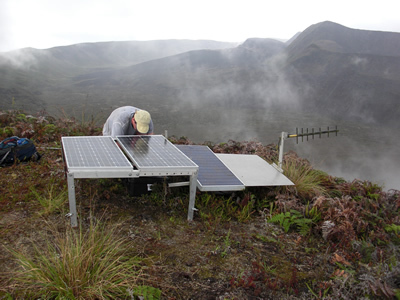 Figure 9 - UNAVCO Engineer Abe Morrison performs some maintenance on the Sierra Negra Master GPS station. 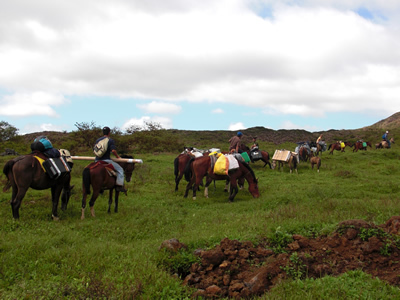 Figure 10 - Movement to base camp with all equipment by horse.